Say “hello” to the next app you are guaranteed to install. It’s called Portal and it’s from the creators of Pushbullet, one of our favorite apps. Portal has one goal, which is to make transferring files to your phone or tablet as seamless and easy as possible. After playing with it for two minutes, I can tell you right now that I will now use this multiple times throughout the day. So how does Portal work? It’s pretty easy. Install the Portal app (Play link), connect your phone to the WiFi network your computer is on, and then head to portal.pushbullet.com. From there, you will see a QR code that needs to be scanned. To scan it, open the Portal app on your phone, scan it, and then your computer will be connected to your phone via WiFi. 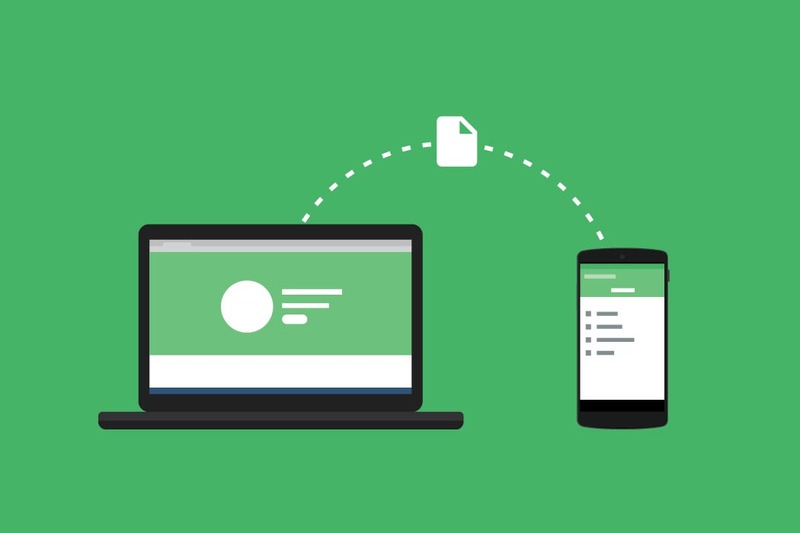 To transfer files, simply drag and drop them into the tab you have open at portal.pushbullet.com. The files will then transfer quickly using your WiFi network and show on your phone in the Portal app instantaneously. The Pushbullet team says they have been testing files as large as 1GB, so you shouldn’t really have any limitations here. What else is awesome about Portal? To find all of the files you have transferred to your phone, open the Portal app. Not only will they all be listed there, but you can tap on each to open or quickly share them via share button. All of the files save into a Portal folder on your phone, so if you would rather find the files in your favorite file manager, you can do that too. You can even move the Portal file to an SD card. If you use Chrome on your computer, you can drop entire folders and Portal will transfer them. Ready to take it for a spin? Watch the video below, then hit up the two links you’ll need to get going.